Located just .5 miles from UNC Chapel Hill. 142 rooms including 56 suites. 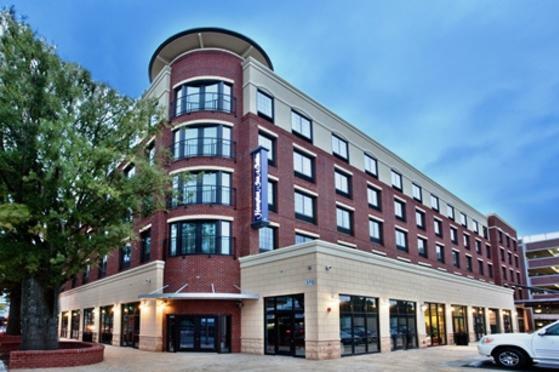 The Hampton Inn & Suites invites you to stay with them in the heart of Chapel Hill/Carrboro. Ideally located within walking distance to Main Street and Franklin Street shopping, dining and leisure options. Live concert venues, UNC athletic games, and art galleries are all within close proximity to this hotel. Amenities include a free hot breakfast, excercise room and outdoor swimming pool. This is a LEED Silver-certified hotel, which has implemented measurable green solutions.